If you are planning the perfect wedding, one of the first things many brides do is dress shop. 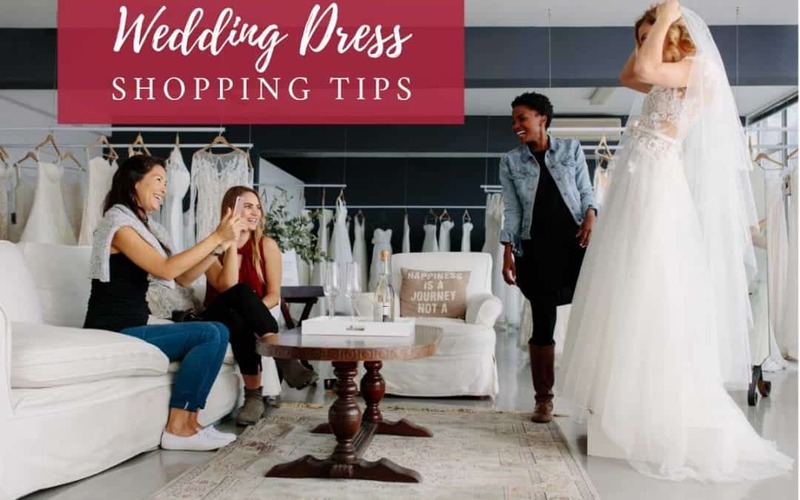 Although you might have the exact dress you want in mind, these tips will ensure you do not go home with any second guessing. Before starting in the store, check out dress styles on Pinterest or save images from bridal magazines. Consultants at a bridal dress shop will reference these when helping you pick styles to try on. Even if you have a clear idea of what you want, try on at least three different styles of dresses. A mermaid style dress might be the style you prefer in pictures but when trying them on, you realize an a-line looks better on you. This is why you should always try on multiple dresses before choosing the one. The people you invite along dress shopping should be taken into careful consideration. Friends and family can have surprisingly strong opinions! Invite the people paying for the dress, friends who have style you admire. Beyond that, skip the invite. The less opinions the better sometimes. You have probably discussed price range before heading out to shop, but what if you have found the one you love and it is out of the budget? Always try to negotiate with the consultant on the price of the gown. If they are not receptive, ask to speak with the bridal shop owner. Sometimes it is helpful to name the price you want it to be and then see how close to that the store will come down. If you are planning the perfect wedding, another first to get done is picking the venue. Even before you have found the dress, consider locking in your date so that you do not miss out. Earle Brown has the perfect venue to compliment your dress – schedule an appointment to tour our ballroom today!